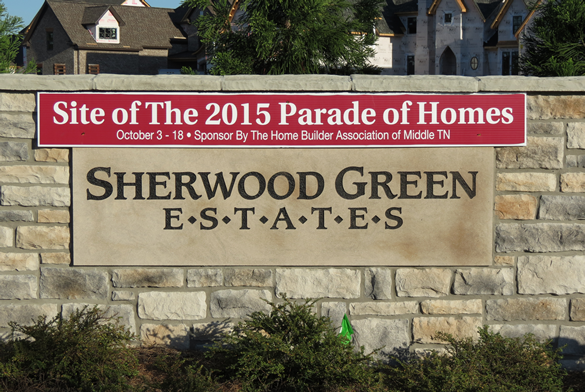 Sherwood Green Estates is a new community in Nolensville, TN. It is the location of the 2015 Parade of Homes. Amenities include small parks, natural areas, a greenway and walking trails. New home prices will be in the $500s. The neighborhood enjoys award winning schools, easy access to I-65, I-840 and I-24 all in a quiet setting in Williamson County. The development is directly across the street from Nolensville Elementary School.